CHEYENNE, Wyo. -- A 77-year-old man shot three people Wednesday at a senior citizen apartment complex where he lived, killing one before he killed himself nearby as officers closed in on him, police said. 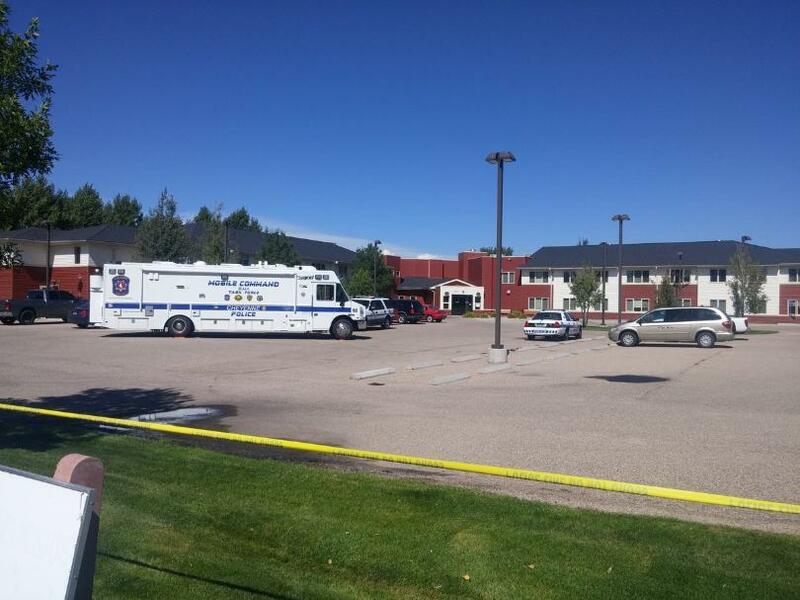 One victim was shot inside the Heritage Court Apartments in Cheyenne, and two were shot outside, said Dan Long, spokesman for the Cheyenne Police Department. Larry Rosenberg fled after the shootings armed with a handgun and rifle. He killed himself as officers approached him in a neighborhood about a mile away, Long said. No motive was disclosed for the shootings. but a woman who knew Rosenberg said he had grown distant recently. “He started getting more and more distant, complaining about the facility and about people and just kind of pulling away, isolating himself more and more,” said Margaret Rosso, whose mother lives at the complex. Long did not identify the victims or provide information about the conditions of the victims who were wounded. Attempts to reach Rosenberg’s family weren’t successful. Rosso’s mother, 80-year-old Mary Eastman, said she and Rosenberg went to yard sales together. Eastman said she saw Rosenberg before the shooting, went out shopping and came back to find that the complex had turned into a crime scene. Police comforted a distraught woman at the scene. What appeared to be a covered body was visible within an area cordoned off by authorities. Heritage Court Apartments has 32 affordable housing units for households with at least one member age 62 or older, according to its website. Messages left with the complex’s owner, Accessible Space Inc. of St. Paul, Minnesota, were not immediately returned. Multiple shootings are rare in Cheyenne, Wyoming’s capital city with a population of just over 60,000. City police handled six homicide cases last year, the department’s annual report said.